Expense management may not be an easy habit, but it is an important one. Whether running a business or submitting itemized taxes, many people could benefit from practicing better expense management techniques. After all, expense management requires discipline, diligence, execution and follow through. 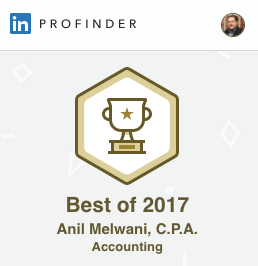 In return, the rewards for that effort can be significant and can go along way towards enabling insightful expense tracking, financial planning, cost management, even tax deductions in your personal life or your business endeavors. With the rising proliferation of expense management tools, systems and applications provide solutions. This first app sets the bar high when it comes to expense management apps that can help users meet their financial and budgeting goals. Pocket Expense allows users to track their personal accounts by supporting multiple accounts and account types. The app also supports multiple budgets, recurring as well as non-recurring. In addition, Pocket Expense gives users the ability to move funds between budgets while still providing information for comparative purposes. Additional features include: password protection, payers and payees management, category management, quick search for transactions, complete world currency list, transaction reports, and bill tracking. Manage your receipts with the mobile app or desktop version of Wave. The free service offers a professional-level expense tracking solution. Users can scan their receipts, or even forward their email receipts and bills, to their Wave account. The mission of Wave is to help small businesses, ideally nine people or less, with advanced software integrations through secure, trustworthy and simple platforms. Organization is the key tool for this expense management mobile app. With Xpenditure, users can create categories or projects in order to organize receipts. Additional key features include: capture/scan receipts, expense creation, time tracking, credit card matching, expense approval, expense report submission, expense rules, and accounting integrations. The Goodbudget app takes a different approach by implementing an envelope budgeting method, with no actual envelopes, but instead with virtual ones. Key features include: ability to check bank and envelope balances, view income versus spending reports, transactions synced with the cloud and therefore accessible from other devices, ability to share with a partner or spouse, and automatically backed up data. The Concur app for expense management encourages users to stay productive while on the go. By creating a pin users have access to the following expense management tools: import data from credit cards, photograph and edit expenses while phone is in AirPlane mode, keep track of receipts via Receipt Store, approve and submit expense reports, itemize hotel charges, create events and invite meeting attendees, and approve travel requests. If you haven’t considered using a mobile application or setting up a general plan for your own expense management needs, maybe it’s time! An effective expense management app can result in a new outlook on expense tracking and money management. Then, when tax season rolls around, you won’t be sifting through a shoebox of receipts but swiping through your phone!